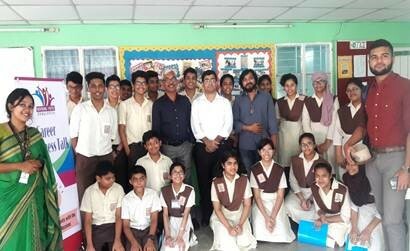 A local group in Bangladesh is broadening the aspirations of young people by providing them with a better understanding of job opportunities and career routes by hosting several events in different schools in Bangladesh. It is a collaborative effort involving teachers, local organisations, community groups, volunteers and employers in the area. It began in 2015 with an Inspiring Women style event, modelled on the UK campaign, that brought together many successful women from the world of work to talk with over 200 female students. 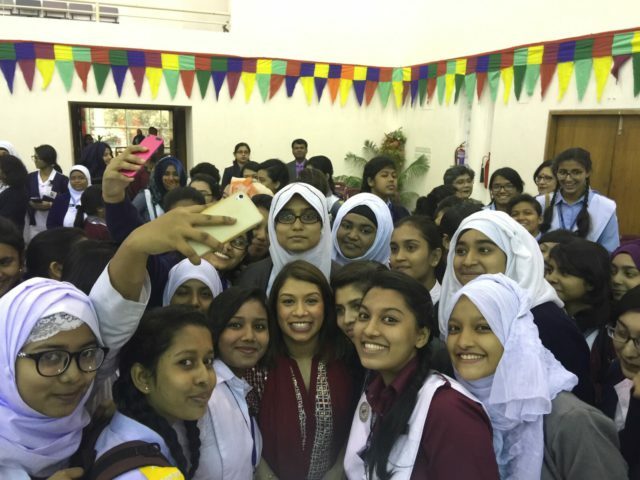 The aim was to help young women in Bangladesh, from all backgrounds, to broaden their horizons and raise their aspirations. Although Bangladesh has had an elected female head of state longer than any other country in the world, for the economy to keep growing, the country needs to make the most of its talented young women; under 60% of women were employed in 2010. Read more here. The work has continued with a series of events across Dhaka city throughout 2017/18, including activities such as “What’s my line?”, based on the Primary Futures format where young people tried to guess the volunteer’s career, and talked in small groups about their job. Read more about how Bangladesh are boarding the career aspirations of young people here. Inspiring the Future in Bangladesh is an initiative in partnership with Education and Employers to motivate students to take challenges so that the future generation of youth can make a positive difference and contribute meaningfully to society through a productive career. The main goal of the event was to help students understand different careers and be inspired and motivated to follow their dreams.